Acupuncture is recognized by the National Institute of Health (NIH) and the World Health Organization (WHO) to be effective in the treatment of a wide variety of medical conditions. Below is a list of some health issues that we have addressed in our practice. Click each topic to read more. Let us think of the circulatory system as plumbing. The heart is the water pump, and the veins and arteries are pipes. The condition of hypertension describes a system wherein the pump has to work harder and faster than it should. This happens for two reasons-one, because the pipes are clogged and pinched and the pump has to push harder and faster to get the same amount of liquid through the channels, and/or, two, because the network of pipes has become extended, covering a larger area, and the pump has to push more liquid, further. Often while this kind of a problem is growing and becoming more serious within a plumbing system, there are no signs until something finally breaks down, and a pipe springs a leak. Unfortunately, the same is true of the human body. Often, a person feels no symptoms of high blood pressure (hypertension) until the condition is found by a doctor’s measurements or damage has already been done to the circulatory organs. Blood vessels, like pipes, become clogged with build-up of waste that sticks to the inside walls and reduces the circumference of the tubes. Also, vessels can become constricted and spasm due to the over-activity of the bundles of nerves that surround them. This repetitive, in some cases constant, tightening of the nerves is often caused by stress and anxiety, and it causes the vessel walls to lose their flexibility and become rigid. A healthy vein or artery has some elasticity that allows it to respond to variances in pressure, which naturally occur when we exercises or are stimulated y certain situations or emotions that cause blood pressure to rise. An artery that is stiff with fatty and calcified deposits or chronically constricted with nervous tension cannot withstand an increase in pressure very well. When overall body mass increases due to weight gain, managing the amounts and types of fats and cholesterol in our diets, reducing stress and getting adequate exercise will go some distance in helping to create a system in which the heart is not overtaxed, and clean, supple blood vessels can do their jobs appropriately. However, there are many cases in which the body needs extra help to achieve and maintain healthy blood pressure levels-diet and exercise alone may not accomplish the job. In Western medicine, the treatment for managing hypertension usually involves prescription medications: diuretics, ACE inhibitors, or beta-blockers. These medicines produce various chemical actions to alter the force of the heart’s heating or prevent increases in blood pressure by suppressing enzymes or hormones that control those functions. In the case of diuretics, they simply reduce the overall amount of fluid travelling though the vessel. None of these pharmacological remedies actually affect the sources of the problem either the plaque built up within the arteries, or the constriction of the nerves around the arteries. And many high blood pressure medications come with unfavorable side effects. Acupuncture and Traditional Chinese Medicine can be an effective alternative modality for treating the source of this condition, whether on its own, combined with lifestyle changes, or as an adjunct to a prescription medication. Acupuncture works of the parasympathetic nervous system, simultaneously stimulating and relaxing the bundles of nerves that surround the arteries. This helps to open up blockages and create more flexibility within the network of blood vessels. In the same way, acupuncture works upon the action of the heart valves so that they can do their job of contracting and relaxing with less pressure and effort. A treatment may also be customized for each patient to help alleviate stresses in the mind and body, improve sleep, and release excess heat or “fire” from body. TCM seeks to treat the whole person, and prevent illness before it arises. It is advisable for everyone to seek regular maintenance treatment in order to prevent conditions like hypertension from getting out of control. While high blood pressure can be controlled in various ways, because it is a possible indicator of more serious heart disease, it should never be ignored. By Qineng Tan, L.Ac. Ph.D.
Osteoarthritis of the knee is one of the most common complaints causing people pain and loss of total mobility worldwide. Pain, stiffness of the joint, limited function, and sometimes a “clicking” or other sound, are symptomatic of this condition, which tends to worsen with age. Degeneration of the cartilage that cushions the knee joint, along with injury or degeneration of the ligaments, tendons, muscles and surrounding tissues that support the functioning of the knee, all play a role in the development of osteoarthritis of the knee. The treatment typically offered is the prescription of anti-inflammatory drugs, which may provide some temporary relief but does not really heal the condition. Fortunately, Traditional Chinese Medicine can treat osteoarthritis, and several scientific studies conducted in recent years have demonstrated that acupuncture offers significant relief for this condition. From a Chinese Medicine perspective, we do not view this problem as being isolated in the knee. We pay close attention to any blockage in the lower extremities because the legs are like a “second heart” for the body. 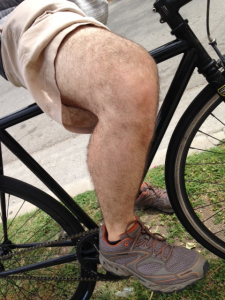 We rely on the large muscles of the legs to push the blood upwards, completing the “circle” of circulation. So if there is a problem in the leg, it not only affects the knees, but all of the organs. In TCM, arthritis is called “Bi Syndrome.” Bi syndrome refers to conditions that create pain, stiffness, soreness, or numbness in the muscles, tendons and joints. There are various differentiations of Bi Syndrome, each referring to a type of bodily invasion by external climate factors: Wind, Dampness, Heat, and Cold. 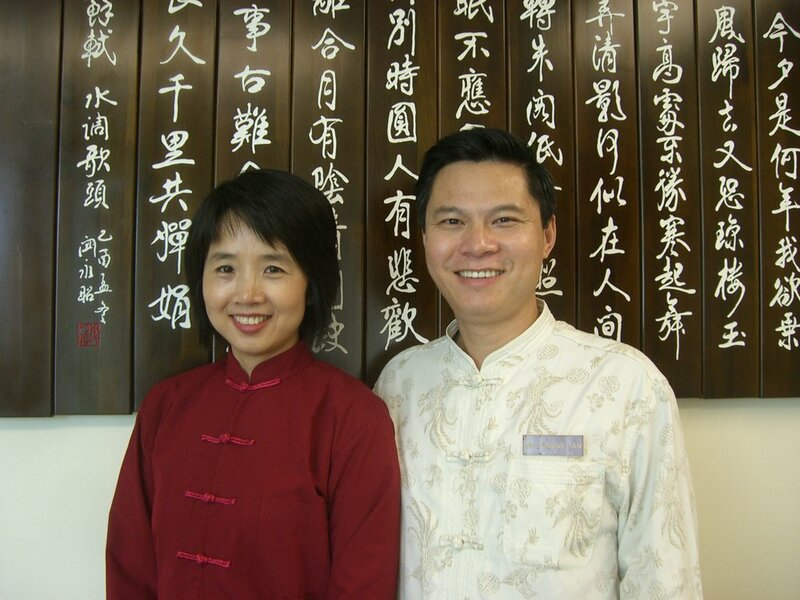 A TCM practitioner makes a determination about what type of Bi Syndrome is being presented based on the patient’s description of their pain and other symptoms, as well as by studying the appearance of the tongue and feeling the pulse. For example, if a person describes knee pain that improves when warmth is applied, and worsens when the area is exposed to cold, and we observe a thin, white coating on the tongue, along with a wiry, tight pulse, we will diagnose this as a “Cold Pattern Bi.” A “Damp Pattern Bi” is characterized by pain and swelling in the joint, and a feeling of heaviness and numbness in the limbs, a sticky tongue coating, and a slow, “soggy” pulse. The point is, while many people suffer “knee pain,” not every case is the same, and the same treatment will not work for everyone. A TCM provider will zero in on the specific situation surrounding your knee pain, and treat it accordingly with acupuncture treatment, herbal formulae, and a dietary plan that will address the type of inflammation you are experiencing. One recent study treated 32 patients who were waiting to have knee replacement surgery. The patients who received acupuncture treatment during the nine weeks of the study reported decreased pain, and the ability to walk farther and faster, while those who did not receive acupuncture reported continued increase in their pain. How exactly does acupuncture help? From a scientific point of view, it increases the production of endorphins and the anti-inflammatory hormone adrenalcorticotropin. A treatment plan may include electro-acupuncture, moxa, cupping, herbs, dietary recommendations and lifestyle changes. Herbal formulas that address Bi Syndrome patterns have been in use for hundreds of years in TCM. They can help resolve dampness and cold and bring more warmth and circulation to the knee joint. A proper diet can go several steps further in treating inflammation, and preventing it from recurring. If you or someone you love is experiencing chronic joint pain and loss of motion, there is hope for relief. Give Traditional Chinese Medicine a try. 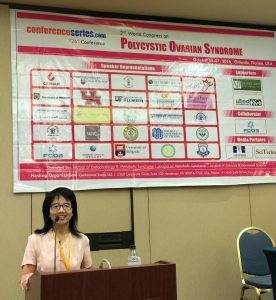 I recently had the honor of giving a presentation at the 2nd World Congress on Polycystic Ovarian Syndrome in Orlando, Florida. As a TCM practitioner who has been passionate about treating Women’s Health issues for 30 years, I know that women everywhere, in every stage of life, can benefit from an integrative approach. Combining the best of Western and Traditional Chinese medicine have to offer allows wo men to find not only palliative care, but true solutions to their problems. PCOS is a perfect example of a condition that can be treated effectively with acupuncture, herbs, and the whole range of lifestyle improvements that we encourage as TCM practitioners. PCOS – polycystic ovarian syndrome – is a complex condition that affects as many as 10% of women. It can begin as early as her teens, and continue all the way through her 40s. Some women don’t realize they have this condition. The major complaint is irregular cycles, sometimes only having a period every few months or even only a few in a year. Infertility, miscarriagePCOS is not only a reproductive disorder; it is related to the metabolic/digestive system and endocrine system, as well. According to Western medicine, the causes of PCOS are still mysterious. Treatment for PCOS generally involves some type of hormone therapy medication- usually birth control pills, to regulate the menstrual cycle. Some patients may be given metformin to regulate their insulin. Women with PCOS who want to become pregnant are given Clomid and Letrozole. Women are advised to use various hair removal methods and given antibiotics to help their acne. But the condition is not being treated at its source. In TCM, we have been studying and treating PCOS-related conditions for thousands of years. PCOS is not classified as an isolated condition; it is related to other conditions, such as irregular menstruation, amenorrhea, and infertility. More specifically, PCOS falls under a category of conditions called “Zheng Jia” –roughly translated as “masses”– in which we would also include endometriosis and uterine fibroids. All of these are caused by stasis or stagnation in Qi, Blood, and Fluid. In TCM, we view the woman as Yin, related to water. Women’s menstrual cycles correspond to the moon cycles. Women with PCOS have their Qi flow obstructed, causing fluid stasis. Irregular cycles and anovulatory periods can then cause women to have problems with their fertility. Some women do not realize they have PCOS until they start trying to get pregnant. In general, in TCM, we view disease as being due to either external factors or internal factors. PCOS is caused by internal factors. One typical PCOS manifestation according to TCM is spleen and kidney yang deficiency, which presents as overweight, pale, water retention, long cycles, and light period flow. This might be hereditary, or due to lifestyle. Overconsumption of ice-cold food and beverages is one of the primary examples I see among American patients, who tend to have cold drinks and ice cream often. Cold can weaken the body’s yang fire energy, which can negatively affect the processing of fluid, leading to water retention. 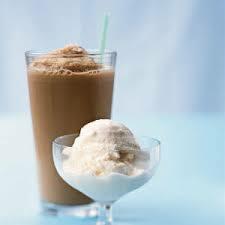 Cold also creates more stagnation, especially before or during the period. For menstruation to work well, there must be a good flow of energy, blood and fluid throughout the systems. With acupuncture treatment, we work on this energy flow. Chinese herbal tea formula will strengthen the kidney and spleen yang. But lifestyle changes are very important, too. Stress management (Qi gong, Tai Chi, yoga, meditation) will help balance the emotions. Eating properly, reducing mucous-producing foods like dairy, deep-fried, sugar, is crucial. These types of foods create stagnant mucous that can contribute to the development of cysts and tumors. We recommend eating more warm foods, both temperature-wise and energy-wise. We view diet/food not just in terms of calories or vitamins, but as energy. TCM principle is simple: if a part of you is weak, we need to strengthen it; if its action is excessive, we need to reduce it. In TCM, we always view each patient as a unique individual, and each trea tment session as a unique opportunity to work with the patient on what is happening in her life and her body in that moment. Especially when we are treating a woman in relation to her menstrual cycle and the development of follicles on her ovaries, it is no exaggeration to say that every day, every moment is different, with different requirements. That is what I mean when I say that a fluid condition such as PCOS requires flexible treatment options from her health care practitioners. 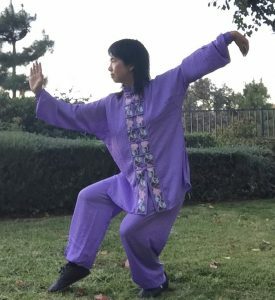 Mind-Body exercises such as Tai Chi or yoga can help alleviate stress, balance the emotions, clear the mind, and allow for smooth functioning of the body’s complex systems. Take time for yourself.